If you’ve not heard of KTO Casino, it’s probably because it’s one of the newest online casinos around. Launched in December 2018, KTO Casino is a fully licensed casino and sportsbook based in Curacao. It’s run by a group of casino veterans with decades of experience under their belt. That’s always good news for players as it means the team know exactly what you’re looking for and they provide it in abundance. There’s everything from a fully outfitted sportsbook to live in-play betting and a massive list of casino software providers for sensational casino gaming variety. You’ll find all the top software developers here, including NextGen Gaming, NetEnt, Booming Games, Orix, Elk Studios, Red Tiger, Apollo Games and more. That means hundreds of slots, live dealer games and table games to enjoy along side some impressive sports betting odds. The payment methods are certainly plentiful, and we’re pleased to report that the cashout times are well and truly under industry norms. The site supports multiple currencies and languages, too, to make your gaming as efficient and stress-free as possible, no matter where you are in the world. The customer support team is available whenever you need them and via several convenient contact methods. If you’ve been hankering for a new casino to diversify your gaming fun, KTO is a decent option. There are welcome bonuses for both the casino and the sportsbook, and you can try every single game – the slots, the tables, Keno, Bingo and even the scratch cards for free before you decide to make a deposit. Provided you have an up to date web browser and Adobe Flash Player, all you have to do is click on the ‘Play for Free’ button when you hover over a game if you fancy checking it out without risking any real money first. So, KTO Casino is sounding pretty exciting, isn’t it? We think so, which is why we’ve put it to the test to bring you the below full review on this latest online casino. 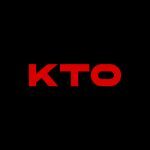 As we’ve mentioned, KTO Casino is brand new to the online casino world, so they haven’t got any bonuses or promotions just yet. If you’re a fan of rewards and bonuses, you might be a little disappointed right now, but keep an eye out, they may well add plenty of offers very soon. For newcomers, though, there is a 100% match deposit bonus up to $/€100 on your very first deposit. It might not seem like a lot, but it’s still a great way to boost your initial bankroll. Remember, you can try the games for free first, anyway, and then once you’re ready to make a deposit, you can grab the welcome bonus and start playing (and winning) for real money. To qualify for the welcome bonus, you need to deposit a minimum of $/€10. While the casino states that the wagering requirement must be met within 30 days of the qualifying deposit, we weren’t able to find what the actual playthrough percentage is. It’s also worth noting that you can’t claim the casino welcome bonus if you’ve already claimed and used the sportsbook bonus. What’s more, you can use your bonus funds to wager on slots to meet the wagering requirements. However, certain slots, live casino games, video poker, table games, virtual betting, roulette, blackjack, scratch cards and baccarat don’t contribute to the playthrough requirements. Maximum winnings on the bonus are limited to 20 times the bonus amount. For recurring players at KTO Casino, we hope to see regular deposit bonuses, free spins, cashback bonuses and other enticing offers in the future. The platform does not yet have a VIP loyalty programme, but let’s hope it’s something they are working on. Typically, a withdrawal request will be processed within 24-48 hours, provided you have verified your identity with the necessary documents. KTO Casino has partnered up with more than 35 iGaming software providers, which means you’re sure to find the very best games and a huge variety at that. Some of the software providers at KTO Casino are industry leaders, including Microgaming, NextGen Gaming and NetEnt. Slot lovers can look forward to some of the most thrilling and enthralling titles around – over 1,500 of them. Just some of the titles to enjoy include Berry Burst, Starburst, Thunderstruck and Game of Thrones. There’s no doubt that there will always be something to play at KTO Online Casino for casino gamers and sports betters alike. For betting fans, there’s all kinds of sports to bet on, including virtual sports, tournaments and live sports. One of the best things about having so many software providers on board is that players and expect new providers and games to be added on a regular basis. It certainly seems that KTO Casino will stop at nothing to provide the best of the best for your gaming fun. Besides an exceptional collection of slots and video slots, there are ample video poker titles to choose from and a wide range of traditional table games including a variety of variants for baccarat, blackjack, roulette and poker. KTO Casino also offers video bingo, scratch games, lottery games, Darts 180 and Keno. If you cannot get enough of the thrills and sounds of live dealer games, you’re in luck. KTO Casino offers a decent range of live dealer casino games from top-notch developers like NetEnt, Bet Construct and Evolution Gaming amongst others. Live dealer games offer an even bigger gaming experience. You can play multiple tables against a personal casino host who spins the wheel or hands out cards in real time through HD live streamlining. You can chat to your dealer while playing and simply sit back and enjoy the live experience form the comfort of your favourite chair. Good news for mobile casino fans. Since this casino runs on Adobe Flash, it means you can take the thousands of slots and ample table and live dealer games with you wherever you go, so you never have to miss out on the excitement. You can even head over to the sportsbook section for real-time match results, live betting and more. To enjoy casino games on the go, you simply need to enter your mobile device’s web browser, login to your player account and away you go. You can also make deposits, request withdrawals, grab your welcome bonus and contact customer service all through your smartphone or tablet. At the moment, KTO Casino is licensed and regulated by the Malta Gaming Authority. This means you can count on safe gaming when you play at this new online casino. 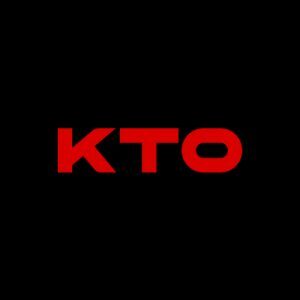 While there’s not a lot of information yet available in terms of KTO’s security, as a casino that belongs to a group of gaming veterans, we have no doubt that they make use of top-class software encryption technology to keep your personal and banking details safe and secure at all times. The casino is owned and operated by a company called Bravalla B.V, which is based in Curacao. The casino also uses a Random Number Generator to ensure fair outcomes for every game. What’s more, KTO Casino is big on responsible gambling and there is an entire section with contact details for help organisations, should you need assistance. KTO Casino offers round the clock customer support services. The team of representatives are professional and well trained, so you can ask for support, help or clarification whenever you run into any issues or wish to make a comment. There are two main ways to get in touch with the customer support team, but before you do that, make sure you have a look through the casino’s FAQ section, where you might just be able to find what you’re looking for. If not, you can send the support team an email or make use of the live chat function which has proven fast and efficient. At the moment, support services are offered in both English and Portuguese. KTO Casino is bold and classy. It boasts a brooding dark background and red colour palette that runs throughout the platform. This makes KTO stand out from other casino and sports betting platforms. Best of all, the site is super-easy and simple to navigate. It’s overall look and feel not only sets the platform apart but also sets the mood for exciting gameplay as soon as you login. You’ll find a simple navigation menu right at the top of the home page. This makes navigation quick and easy. It also allows you to choose your preferred gaming so you can get right into the action. Scroll down the main page and you will find the welcome bonuses for both the casino and the sportsbook. You’ll also come across the games categories and a few other quick links. There is no denying that this new online casino has a lot to offer in terms of entertainment and an exceptional gaming experience. At KTO, there is a magnificent selection of slots, table games, live dealer games and casual games from the most popular developers on the market. The payment methods are varied and easy to use and the customer support is efficient and friendly. We’re really looking forward to watching this online casino flourish. We do hope they will add more bonuses and promotions in the future, and perhaps a loyalty programme, too, since with that many games on offer, we plan of playing there often. Isn’t it time you tried out KTO Casino for yourself? Grab your 100% welcome bonus and start playing today!